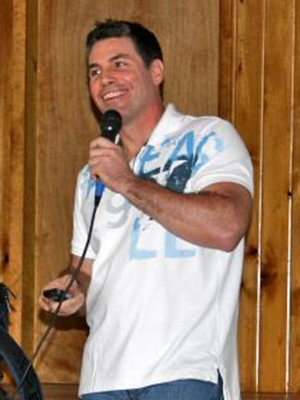 As a youngster, Chris enjoyed boating with his dad and bought his first boat at age 12. He forecasted the weather each day during 3rd grade through high school and then studied Meteorology for two years at Lyndon State College in Vermont. He lived aboard full-time for 12 years with his partner, Michael Zidziunas, and Wizard the cat and they cruised full-time for five years, visiting the Bahamas, Caribbean, Bermuda, and most of the US east coast. They traveled an average of 5,000 miles each year, while burning an only of about 50 gallons of diesel. It wasn’t long until cruising friends realized his special skill at marine weather forecasting. Since then he has presented more than 30 seminars to various groups. 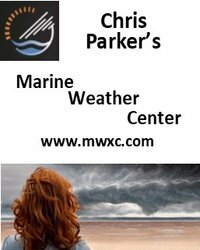 In 2003, Chris became Chief Forecaster for the Caribbean Weather Center and started Marine Weather Center in December 2011, providing weather forecasting and routing advice to small yachts. Chris is the author of Coastal and Offshore Weather: The Essential Handbook.